The Syncfusion Essential PDF is a .NET PDF library that allows you to edit or modify PDF documents on the fly. 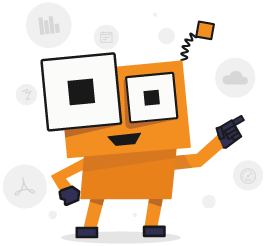 Using this library, you can also add text, images, graphics, or shapes to update a PDF. This .NET PDF library is designed to work easily with edit or modify PDF files and integrate seamlessly in your applications. Apply watermark or stamp with text and images. Stamp with opaque images, rotated content. When you edit a PDF document, you might need to change the fonts to match your current theme or to change an outdated PDF document according to the current trends. Embedded or standard fonts in an existing document can be replaced with alternate resources. In PDF, images can also be replaced like fonts. Extract text and its position and font details. Extract images and their positions. Add images, text, and shapes to PDF files. Add a barcode to a PDF file. Add annotations, bookmarks, and attachments to PDF files. Add, read, edit, fill, and flatten PDF form fields. Read and modify PDF document properties. Read and modify viewer preferences. Protect PDF files with advanced security standards. Extract text and images from a PDF file. Add headers and footers to exiting PDF files. Add XMP metadata in an existing PDF file.